"My apartment doesn't have a bathtub so this was a very pleas..."
Have a question for Gyerim Sanjang Motel? Nestled in the heart of Gangnam-dong, Gyerim Sanjang Motel is an ideal spot from which to discover Chuncheon-si. The excitement of the city center is only 1.5km away. For sightseeing options and local attractions, one need not look far as the hotel enjoys close proximity to Animation Museum, Ihwa Beauty Clinic, Chuncheongyohoe Baekhwajeom. At Gyerim Sanjang Motel, every effort is made to make guests feel comfortable. To do so, the hotel provides the best in services and amenities. Guests of the hotel can enjoy on-site features like 24-hour room service, free Wi-Fi in all rooms, convenience store, daily housekeeping, express check-in/check-out. All guest accommodations feature thoughtful amenities to ensure an unparalleled sense of comfort. Throughout the day you can enjoy the relaxing atmosphere of the hot tub, golf course (within 3 km), fishing, children's playground, horse riding. Superb facilities and an excellent location make the Gyerim Sanjang Motel the perfect base from which to enjoy your stay in Chuncheon-si. It was good at economic prices. It's a 10 minute (3,200 KRW) taxi ride from the bus station, and it's a quick 15 minute walk to an amazing burger restaurant/microbrewery (Ramos Burgers, if you're so inclined) and beautiful park. My apartment doesn't have a bathtub so this was a very pleasant and welcome surprise, especially since bubble bath was provided! The only negative was that the A/C didn't work, and my room was quite warm - if you're visiting in winter, rest assured that the ondol works! I left the window open for a few hours at night while I explored around town, and it was cool enough to sleep by the time I got back. Polite staff, clean room, plenty of bedding (if you're used to Western beds just double it up and you'll be OK). I'd definitely come back. Met my husband and daughter here after their bike trip. Not much around. Very simple and clean. Met our needs. Sufficient for 1 night stop on the way to the Seorak mountain, friendly owner but didn't speak English. Very nice stay and awesome ondol room. Building was old but it does not affect the cleanliness inside room. The lady staff or maybe owner is superb friendly and helpful even waiting for us although we check in late that day. Surprisingly the room is well equip which I feel better than our hostel in Seoul and is very comfortable to stay overnight. Just beside the motel there is a mini mart which is very convenient for us to buy some snacks and beer as supper. Overall it is value for money. it is quiet, the staff is friendly, and...did i mention it is quiet? 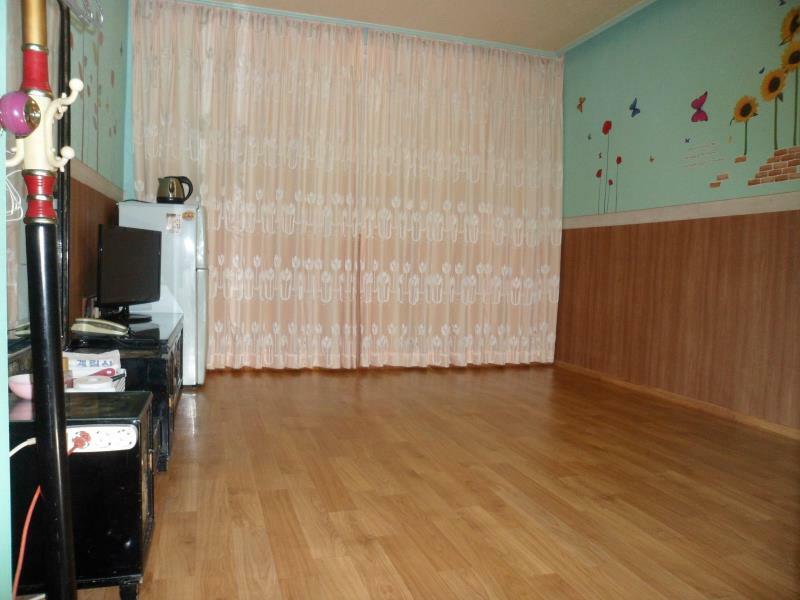 This is a perfect hotel for those that want to sightsee around chuncheon or hwacheon. 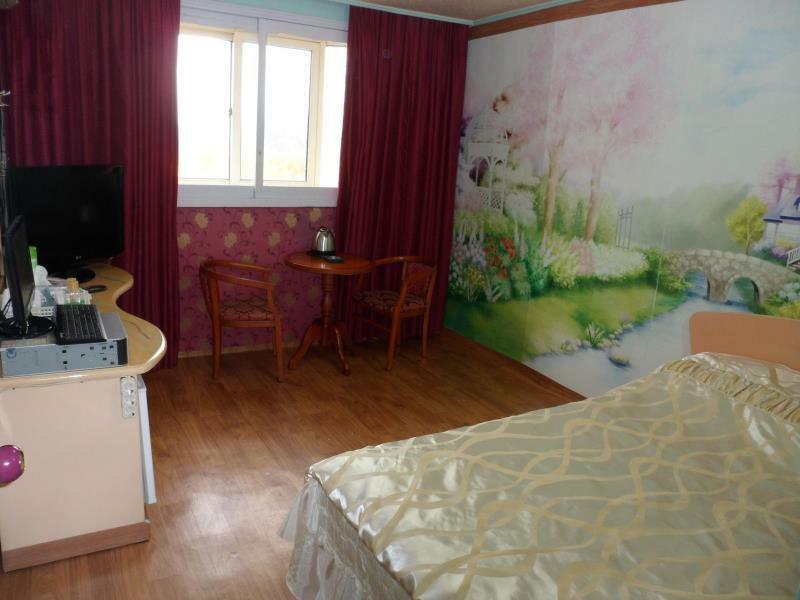 Located minutes awau from chuncheon station, this hotel is not in the downtown area and it is a quiet spot. The staff is friendly and speaks enough English to do most things. cheap and nice. Room is clean but remote to the bus teminal. Suitable for car driving. we are very suprised and happy as the owner get us to the bus terminal after checking out. I was so surprised after seeing this place, it doesnt look like much from the outside and is pretty basic on the inside too, but the owner made everything change. She was accommodating to my dirty bicycle and self, and let me come back in the evening to take a shower before heading out of town. Did I mention I paid almost nothing to stay here too. I will definitely come here again and will recommend to anyone visiting Chuncheon. Host is friendly. The room is unexpectedly large with many equipment provided. Loved it here! The room was clean and comfortable and had a great internet connection. The bathroom was also very clean. The room was a great value for what I paid, which wasn't much. The owners were very kind. There was a restaurant close by that was excellent and the owner's English was pretty good. My only complaint is that it was a little far from the city and the cab drivers didn't know where it was. Regardless, I'd stay there again! Friendly staff, Nice view, easy access WIFI. The hotel owner is very kind, and friendly. Every room of Gyerim is NEAR ocean view. Very good price to stay. Easy access WIFI...Everything is so great. I will definately visit here again.